Simplify the process of creating replies in forum topics! 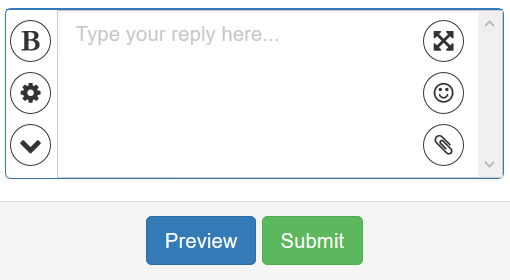 If the new form type is enabled, you do not need to scroll the topic to the end of the page to enter a reply. The quick reply form is right on your screen at any time when you view a topic. BBCode buttons, smilies and attachment block are displayed just like in full reply, but they are effectively hidden when you do not need them in the new form type. Ajax features will make your posting experience better. Use “Ctrl+Enter” to send the reply when it is ready. Typed reply will not be lost when you go to previous and next pages, informative loading messages are displayed when your actions are handled by the server. After new messages have been loaded the page is scrolled softly, scroll time can be customized in the ACP or turned off in the UCP. Select a part of the message to be able to quote it. Quote with a popup and/or with a button, setting are customisable in the ACP. Set up full quote permission and the ability to fully quote the last post in a topic. Enable special quick nick popups to be able to mention post authors. Mentioned users will receive notifications. 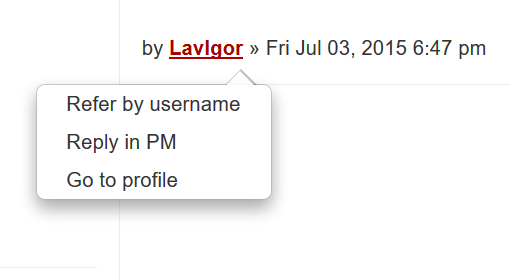 You can choose between a text link in miniprofile and extended dropdown with additional options. Disable “Re:” in post titles or hide them entirely (the title of the first post will still be displayed however). You do not even need to enable quick reply if you want to use only these features! Making this extension would not be possible without your support. Thank you for all your feedback and participation! Note: this extension is 100% free for use, no attribution is required. It has been done as a result of developers' free effort and your feedback. If you feel you can support this work, you can make a donation. Compatibility fix for Advanced BBCode Box extension version 3.2.1. If you have any problems with this version or if you have any questions, please describe them in extension's support area or create a new issue on GitHub. Fixed problem with quote buttons in private messages (they should not be affected by this extension). Last post update issue fixed - it should be reloaded only after posts merging. Quick nick settings have been improved. Fixed post review issue when Ajax posting feature is disabled. Several issues with styles have been fixed. Fix for Ctrl+Enter functionality in phpBB 3.1.9. 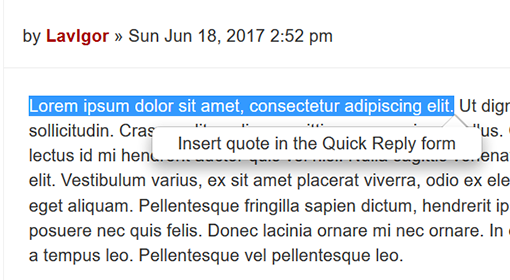 Quick quote’s BBCode no longer depends on the setting for enabling BBCode buttons in the Quick Reply form – that setting now determines only the visibility of form buttons. Links in attachments area will be opened in a new browser’s tab, this fix is not related to any other links (in preview, posts etc.) – that is planned to be done in further releases. Preview container was added as a new parameter to ajax_submit_preview event. These versions are not supported anymore and are listed here for reference purposes. If you have any problems with this version please consider installing one of the newer versions listed above. phpBB 3.2 is now supported. 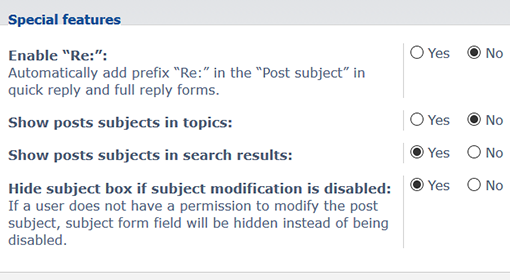 Form submit button now has a title telling users about Ctrl+Enter functionality (can be switched off in ACP settings). Form submission is prevented until all attachments are uploaded - now available not only for Ajax submissions. QuickNick is possible even when a username is not a hyperlink. Fixed quick reply form is now scrolled to attachments box when a user clicks on the attachments button. Fixed form mode has been reworked, the form can now be collapsed to have more space for viewing the topic. Posts update method has been reworked, update related issues were fixed (for better compatibility with Posts Merging extension and Enable post review setting). Forum settings update issue was fixed. Close button has been added for preview block. 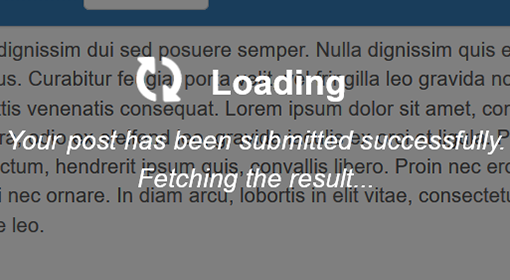 Form display issues were fixed, external form display toggles are no longer supported in fixed form mode. Full quotes are now prevented on posting page too based on Enable full quotes for last posts in topics setting and Can use full quote in topics permission. Alert window timeout issue has been fixed. Quote button is always shown on mobile devices. Style compatibility has been improved. Quick reply form can now be stuck to the bottom of the page – welcome the new form type. Support for ComBoot style, new possibilities for adding non-prosilver-based styles. New permission and settings for enabling certain actions of standard quote buttons in posts. New loading indicator with explanations. Ajax posting feature is now forum-based. Possibility to add quick nick link under users’ avatars. Translit feature now depends on language packs. Ability to save the reply even when Ajax pagination is disabled. Reworked extension settings interface in the ACP. The first stable release of QuickReply Reloaded extension. Some new features coming soon! You will be able to sponsor specific features that we will not likely implement in the nearest releases. Attachments are disabled in this demonstration.